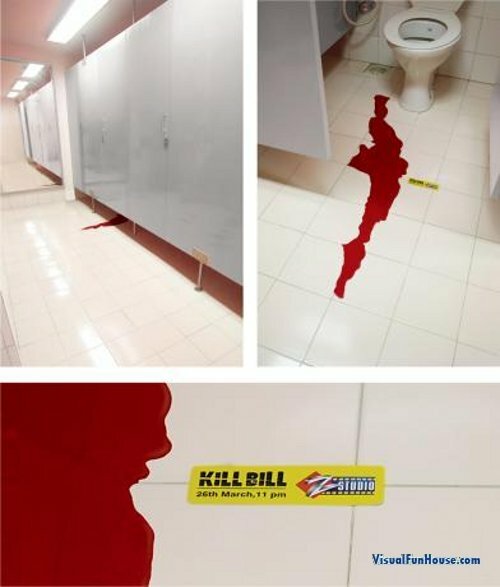 Kill bill was a very popular movie when it came out, along with its promotion campaign was a bunch of very creative advertisements. The one below is a bit gory for some, but it will defiantly intrigue you to take a closer look. If you saw a pool of blood leaking out of a bathroom stall, would you go take a closer look or turn and run away screaming?? Also check out this other KillBill Elevator Ad.